My “mission” the last 3 months has been to get a fabulous photo of a red bellied woodpecker. 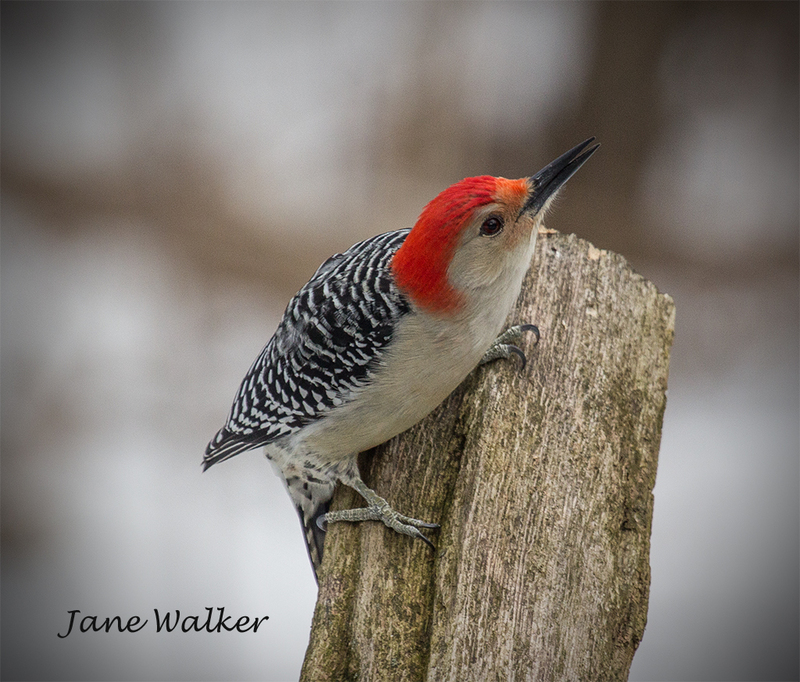 My last post featured 3 different types of woodpeckers that I have seen almost daily in my backyard. The red bellied in that post is a female. Her bright red cap covers only the back of her head. I’ve been hoping to see a male and take some good photos. Two days ago at Lynde Shores, my friend Vanessa and I were following the call of a red bellied hoping to locate it along the path. 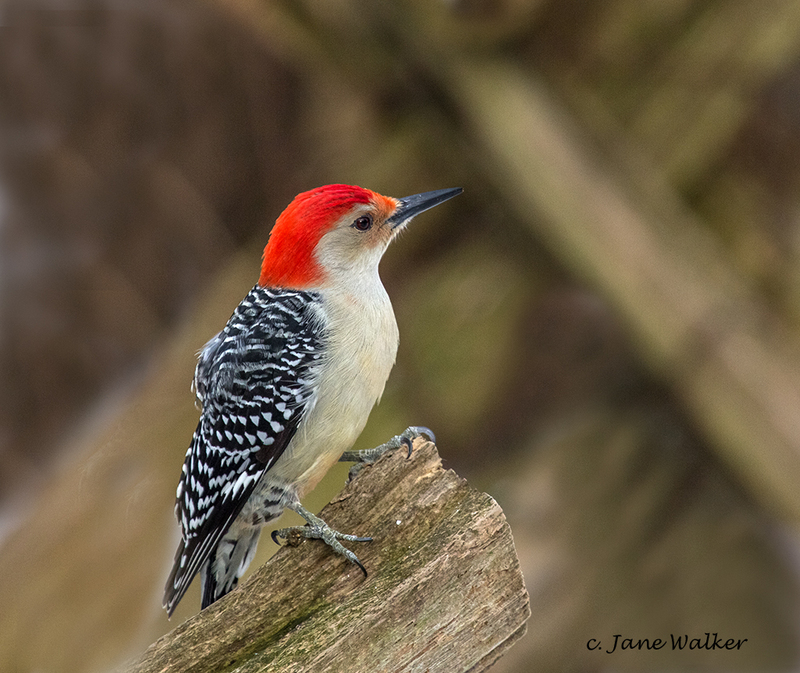 With the assistance of a very helpful photographer, we chose spots with good lighting and waited for the red bellied to land on the old wooden fence where some peanuts had been placed to entice him …… the bird, not the photographer! Moments later, we had our chance and over the next 30 minutes, we all had numerous opportunities to “capture” this male who seemed to be posing for us. Here are a few of my best ……….. Showing off with his “find”. Jane Walker is a Newcastle photographer who creates framed photographs, photo trays and matted greeting cards reflecting the beauty of nature and gardens. 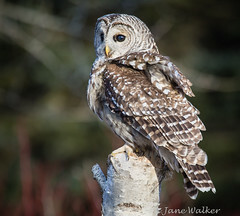 Her recent interest in birds, owls and other wildlife is now being reflected in her posts. 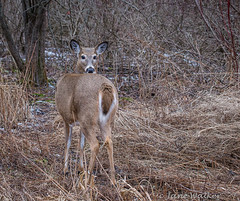 As a member of the Oshawa Camera Club, Jane has started to enter some of her photos for judging and appreciates the critiques by the judges. You'll be surprised at what shows up under the guise of "janewalkerscards". 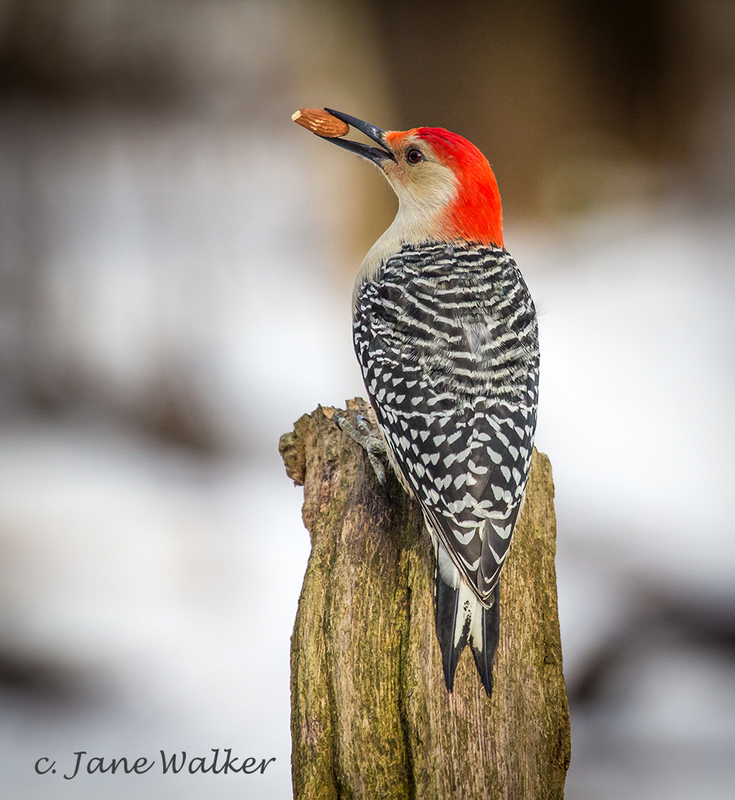 This entry was posted in Uncategorized and tagged fabulous feathered creatures, feathers, Lake Ontario, Lynde Shores, nature, photography, red bellied woodpeckers, song birds, Whitby, wild birds, wildlife photography, Woodpeckers. Bookmark the permalink. Now, Jane, if you don’t win a first or several firsts with these shots at the camera club, then the judges ought to have their heads examined. Really, they’re truly magnificent! Well done�!! I do plan to enter one or two of them I may save them for the Oshawa Camera Club Annual competition. Thanks for the encouragement. Thank you Tim. I had perfect conditions for some good “captures”. Beautiful captures, Jane! Your patience was rewarded… but why are you spoiling the bird with Almonds? Looks like an almond to these old eyes. Thanks for the compliment, Daniel. The almond, too pricey!…. I think it was some other bird “nut” that left it…. Wow! Wow! Wow! These are incredible! Glad you like them. The lighting was perfect and amazing co-operation on the bird’s part! 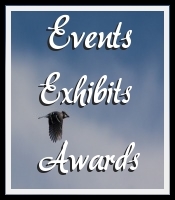 You MUST enter into a competition – FIrst Place For Sure !! Thank you for sharing your wonderful photos – they always capture something special ! Thanks, Mary and so nice to hear from you. I do plan to enter some of them. It’s so nice to get so much encouragement. Your comments are greatly appreciated. You are always so kind. Thank you for taking the time to view my photos and to comment on them. I value your input! 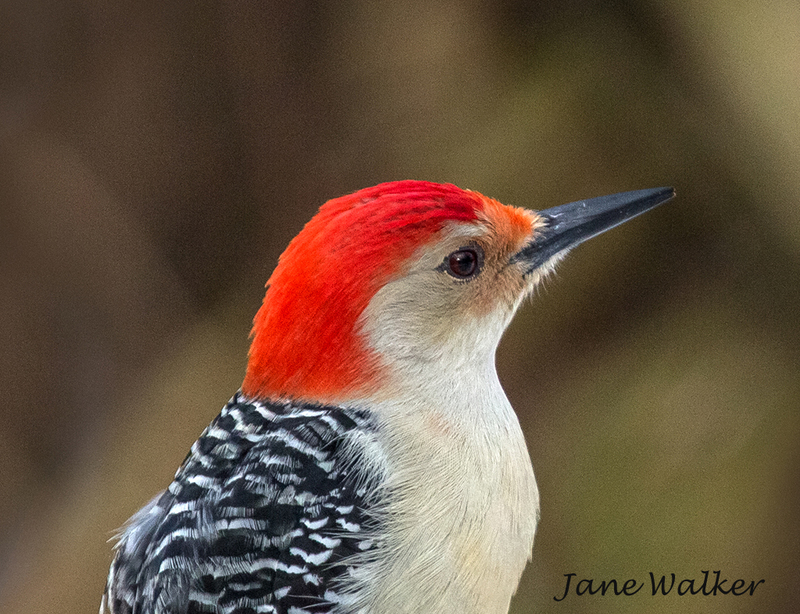 Glad you liked the Red Bellied Woodpecker shots and took the time to respond. 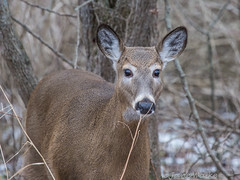 I often view your photso taken in Michigan county and enjoy them very much.